I'm an Associate Professor of Sustainability Science, and Director of PhD Studies, at the Lund University Centre for Sustainability Studies (LUCSUS) in Lund, Sweden. In my research, I study the connections between people, land, and climate. My goal is to understand how to manage land and resources to support a good life for everyone alive today, and leave a thriving planet for future generations. I grew up on my family's vineyard in Sonoma, California, and have studied wine in our changing climate since 2003. 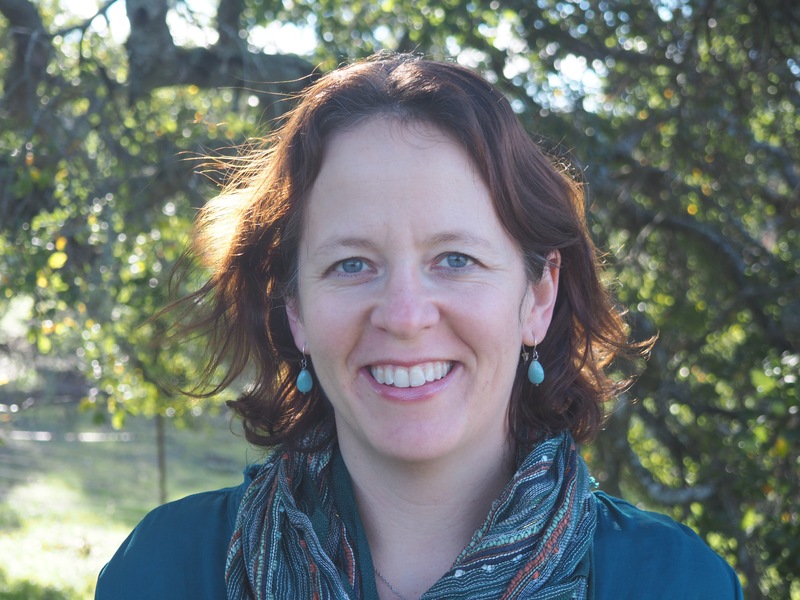 My research focuses on sustainable farming systems; understanding nature-based solutions to benefit both people and ecosystems; and high-impact climate actions and policy. I aim to design and communicate my research to answer pressing questions from policy and practice, to contribute to achieving a society with zero greenhouse gas emissions, which I hope to live to see. I nearly became a consultant to the California wine industry instead. Since 2010, I have taught and mentored masters and PhD students in the LUMES and LUCID programs. My courses have included Earth Systems Science, focused on climate science and solutions; Rural Systems and Sustainability; Quantitative Methods in Sustainability Science; and Writing for Change. I hold a BSc (Earth Systems) and PhD (Interdisciplinary Program in Environment and Resources) from Stanford University and MSc degrees from the University of Wisconsin-Madison (Land Resources) and the University of California-Davis (Horticulture and Agronomy- Viticulture focus). Click here for more information, and my CV. See also personal profiles under the Press page. 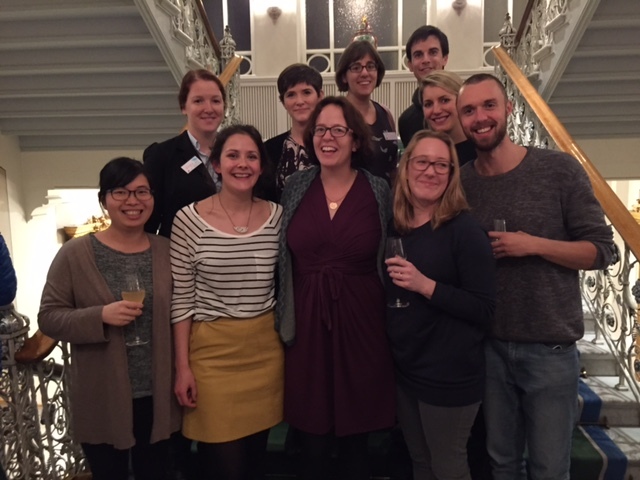 LUMES reunion, October 2015: Nine of my former master's students, originally from eight countries, now living all over the world, back in Lund! Front row, left to right: Chia Sui Hsu (LUMES '11), Leila McElvenny ('12), Kim Nicholas, Rhianna Dean ('13), David O'Byrne ('11). Back row: Nadia Karami ('13), Thorhildur Haldorsdottir ('13), Klara Winkler ('14), Kyle Clark ('11), Verena Hermelingmeier ('14). 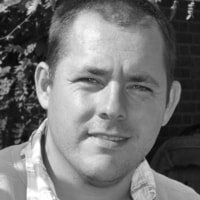 Murray Scown joined the lab in November 2016, where he leads analysis of the sustainability and drivers of patterns in European land use. Previously, Murray was a postdoc at the US Environmental Protection Agency after receiving his PhD from University of New England in Armidale, Australia. Stefan Olin leads the ecosystem modeling for several projects, including an analysis of zero-emissions landscapes supported by the Crafoord Foundation, and an interdisciplinary project examining tradeoffs for ecosystem services under future land use scenarios in Sweden. Stefan holds a PhD and a joint postdoc appointment in Physical Geography and Ecosystem Sciences at Lund University. I currently co-supervise one PhD student at the Lund University Centre of Excellence for Integration of the Social and Natural Dimensions of Sustainability, LUCID. I will be hiring a new PhD student in fall 2019 for the "Takeoff of Staying on the Ground" project. 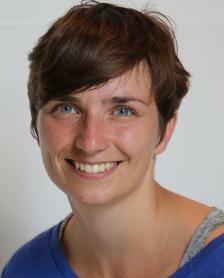 ​PhD Candidate in Physical Geography (co-supervised with Jonathan Seaquist). ​Dissertation: "Challenged food security: between climate change and land grabbing." Cristian Pons-Seres De Brauwer. Energy prosumerism in the European Union. Selja Snorradottir. Embracing eating insects in Denmark. ​Dissertation: "Once more with feeling: Harnessing human-nature relationships for the governance of social-ecological systems." PhD in Physical Geography (co-supervised with Jonathan Seaquist). ​Dissertation: “Large-Scale Land Acquisitions as a Driver of Socio-Environmental Change: From the Pixel to the Globe." Defended 14 September 2018. Currently a postdoc at LUCSUS. With Lennart Olsson, I co-supervised the PhD dissertation of Torsten Krause in Sustainability Science through LUCID. Dissertation: “Buying Conservation: Financial incentives for tropical forest conservation in the Ecuadorian Amazon." Completed September 2013. Torsten is currently a lecturer at LUCSUS. Licentiate in Sustainability Science, September 2017 (co-supervised with Lennart Olsson). Heather was part of the lab from September 2015- September 2017, following several years experience applying her masters in business administration as part of the sustainability team at Starbucks Coffee. She led the Wine exemplar within the OPERAs project, and co-coordinated the 12 exemplar case studies within OPERAs. 23. Laura Siepmann (Uppsala University). Blog post: Wine, almond blossoms, and earthworms- reflections from fieldwork. Blog post: Organic farming through winegrowers' eyes- popular science summary of the thesis results. ​20. Noor Nasir. "Down the Yellow Brick Road: Youth Engagement and Intergenerational equity at the Global Landscapes Forum." Blog post on the Global Landscapes Forum: "Evaluating the Youth in Landscapes Initiative: A leading example of genuine intergenerational collaboration"
19. Shrina Kurani. "Forget about carbon – let’s go on holiday! Using tourist values to conserve seagrass meadows." Research in the OPERAs ecosystem services project described here. See blog post "Seagrass in the Mediterranean" here. 18. Marius von Essen. "Cork before Cattle: Quantifying Ecosystem Services in the Portuguese Montado and Questioning Ecosystem Service Mapping." Research in the OPERAs ecosystem services project described here, with blog posts for on quantifying cork and carbon sequestration here, and on issues with quantifying services here. Currently pursuing a PhD at Stanford University in conservation. LinkedIn profile. 17. Seth Wynes. "Carbon and curriculum: Towards an evidence-based climate change education in Canada." See Seth's curriculum on high-impact climate actions for high-school students here. Currently PhD student at the University of British Columbia, Canada. 16. 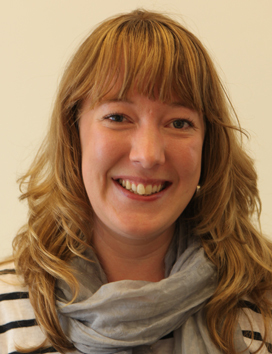 Rhianna Dean: “The lot of the farmer: Climate change adaptation in the Victorian wine industry.” Currently Senior Project Officer, Office of Environment and Heritage, New South Wales, Australia. LinkedIn profile here. 15. Verena Hermelingmeier: “Harmonizing OPERAs voices: An investigation of different perspectives on the ecosystem services concept and their implications for research and practice.” Research in the OPERAs ecosystem services project described here. Currently a Research Fellow and PhD candidate at Wuppertal Institute for Climate, Environment, Energy in their Berlin Office, and independent Design Thinking workshop leader. 14. Klara Winkler: “More than wine: Cultural ecosystem services in vineyard landscapes.” Research in the OPERAs ecosystem services project described here. Currently a postdoc at McGill University, Canada. LinkedIn. 13. Nadia Karami. "The Food Short List: Recommendations for Swedish consumers to reduce the environmental impact of their food choices." 12. Luisa Fernanda Suarez Rozo. "We are what we eat Investigating enabling factors for dietary change and sustainable diets in Skåne." Currently policy analyst in Colombia. LinkedIn profile. 11. David Lam. “﻿﻿Environmental impacts in global value chains: Using Hot Spot Analysis to identify priorities for improving the sustainability of German coffee production and consumption.” Currently Consultant for Corporate Responsibility at Schlange & Co. GmbH, Hamburg, Germany. 10. Þórhildur Ósk Halldórsdóttir. “Local food in Iceland: Identifying behavioral barriers to change towards increased production and consumption.” View a poster summarizing this research here. Currently Head of Statistics and Analysis at the Office of the Mayor and Chief Executive Officer of the City of Reykjavík, Iceland. ​9. David O’Byrne. “Sustainability now! A review of the current state of academic programmes in sustainability.” Revised article published in Sustainability Science. Currently PhD student in Sustainability Science at LUCID, Lund, Sweden. 8. Kate Whitfield. “Walking in two worlds… and not doing too well in either: Investigating vulnerabilities and adaptation to climate change in Nunavut, Canada.” Currently Operations Coordinator at the Network for Business Sustainability at Ivey Business School, Western University, Canada. ​6. Leila McElvenney. “Can Africa feed the world? Land acquisitions as a food security solution.” (co-supervised with PhD candidate Torsten Krause). Currently Environmental Coordinator at the University of Cambridge. 4. Kyle Clark. “Urban food forestry: low-hanging fruit for improving food security?” Revised article published in Landscape Ecology in 2013. Currently Director of Sustainability at EnSave, Inc, in Burlington, Vermont. 3. Salome Hallfreðsdóttir. “Eco Schools – Are They Really Better? Comparison of Environmental Knowledge, Attitude and Actions between Students in Environmentally Certified Schools and Traditional Schools in Iceland.” Now at Landvernd, The Icelandic Environment Association. 2. Chia Sui Hsu. “Resilience in space: an experimental analysis of resilience in urban flood management in the Taipei Basin.” Currently PhD candidate, Department of Human Geography, Lund University. 1. Joshua Darrach. “The role of youth in climate negotiations: An exploratory study into the effects of constituency status on youth participation in the UNFCCC.” Currently office manager, Camp Arowhon, Ontario, Canada.